Has your mom ever told you playing video games won't get you anywhere? As it so happens, gaming can, in fact, get you a pretty decent sized scholarship to pay for school. Whether you play on a varsity eSports teams, win money in a tournament, or earn your scholarship elsewhere, there is college money available for you. eSports is one of the newest and fastest growing trends on college campuses. The first school, Robert Morris University in Chicago, started a program in 2014, and now at least two dozen schools have bonafide vasity eSports teams that compete in tournaments, have regular practices, and participate in collegiate leagues. And as bonafide varsity sports teams, they offer their players scholarships as part of the team. If you're up for going to school out west, the University of Utah is a large school that offers a varsity eSports team. The team competes at various video game competitions around the country and if you're good enough, the school offers partial scholarships. The program is just starting out, but they hope to grow into a solid community on the university campus. The school currently competes in four games: Overwatch, League of Legends, Hearthstone, and Rocket League. To be eligible for a scholarship, you have to be an enrolled full-time student at the University of Utah. In addition, you must meet similar requirements to other athletes at the university such as maintaining a GPA and progressing towards your degree by 20 percent each season. If you want to be eligible for a scholarship, you have to try out for the team. Try outs are in late summer or early fall and you must fill out this form to get a spot at tryouts. Serious gamers hoping to capitalize on their abilities with some scholarship dollars might want to check out UCI. The program boasts scholarships of around $2,500 for their Overwatch team, and about $5,500 League of Legends teams. Of course, you have to have the chops to get into UC Irvine and in addition, they note all of the scholarshipped players have been ranked in Masters or Challenger/Grandmasters in the past few seasons so competition is pretty stiff. The team is not supported by the school, but rather by sponsors. So games they play are dependent on interest and of course, sponsorships. However, don't let that deter you. They have a state-of-the-art, first-of-its-kind eSports arena and seem eager to grow. Interested in being recruited? Fill out their form. Robert Morris University in Chicago, Illinois was one of the first schools to embrace eSports as a varsity sport and offer students a 50 percent scholarship based on their ranking in League of Legends. The school has a robust eSports program which includes not only League of Legends but also several other eSports, such as Dota 2, CS:GO, and Overwatch among others. However, as of the 2017-2018 school year, League of Legends players are the only ones eligible for scholarships. Scholarship qualifications will be based on a players' experience in high school or similar leagues, and freshman gamers can apply and have their application fees waived. Midland University in Nebraska offers its varsity eSports players athletic scholarships. In keeping with Midland's financial aid policy, athletic scholarships are based on the recommendation of the coaches, and the amount varies. The school plays League of Legends, Overwatch, and Hearthstone. Students who are interested should fill out a recruitment questionnaire. So what do you do if you're not a top player and cannot get a scholarship on a varsity sports team, but still love gaming and need a way to pay for college? Put on your thinking cap, these scholarships require you to write about gaming. Like the name implies, this is a nonprofit organization Gamers Helping Gamers started by a bunch of gamers who pooled resources to offer scholarships to the new generation of gamers who play Magic. Applications are accepted starting in the fall for scholarships to be applied the following fall. (So in other words, you would apply in the fall of this year for a scholarship to school to be applied next year.) To apply, you need to submit your FAFSA, a high school transcript, and four short essays having to do with your interest in the game Magic. Scholarships are given based on need and merit combined. You can check back on their 'how to apply' page for the current essay topics and pertinent due dates. 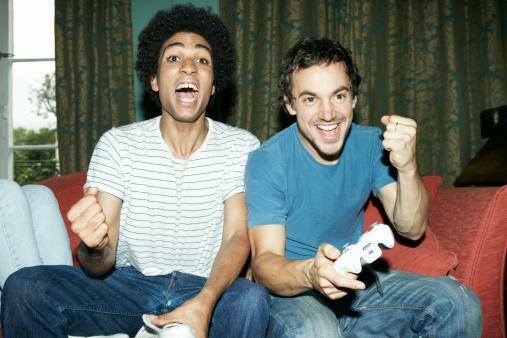 The winner of this essay contest must love gaming and be able to write about it. The prize is for $1,500, and you have to tell them what you see as the future of eSports. The essay changes each year, but it always has to do with gaming, eSports, and some kind of question that allows you to give your opinion. The contest is open to high school students as well as undergraduates. The vast majority of gaming money is earned through playing in tournaments or sponsored by big companies in the gaming industry. However, there are a few notable places to look if you're trying to fund your college dreams. Kontrol Freek is a video gaming company that manufactures video game controllers. Their philanthropic arm is now offering scholarships to serious gamers. The scholarship is available to collegiate eSports team members that are in their freshman, sophomore, or junior year. To apply, gamers need to prove their collegiate eSports participation as well as their intention to continue college for another year. Scholarship information, including how to apply, goes live on their website in March. Amounts vary, but the company has said all scholarships will be at least $2,000. If you're in college, and really good at playing Heroes of the Storm, you could win the Heroes of the Dorm scholarship sponsored by Blizzard Entertainment and Tespa. The tournament is set up in brackets and winner takes all. The scholarship amount varies each year, but could cover the cost of your entire four years of tuition (and it generally does.) Anyone can put together a college team via Tespa, however, you should note that you're competing against varsity sports teams as well. eSports is so new on the scene, scholarships and options are always changing. Make sure to follow the best places to find out about upcoming scholarships. New schools create varsity eSports teams every year. Check the National Association of Collegiate eSports each year to see who joins. Because varsity sports at colleges generally come with college funding from the athletic department to attract new players, chances are good if a college has a varsity team, it also has some scholarship money available. Your school has to be a part of the Starleague, but the organization does post scholarship opportunities and has even hosted a scholarship in the past. Watch their news feed to find out about upcoming funding. eSports is relatively new to the scene of college sports and yet it is already making a big impact. However, if you want those scholarship dollars, you're going to have to practice and practice hard. Money typically only goes to top players or students who make the varsity eSports teams at their schools. Keep in mind that athletic scholarships, even for eSports, requires a minimum GPA.